Midge is a group of many kinds of small flies found on practically every land area outside deserts and frigid zones. They are prominent in Gulf Coast of the US including Texas, Florida and Carolina’s. There are literally thousands of species and 47 are in Florida alone. Biting midges are primarily a nuisance but their bites can be painful and have allergic reactions. They can transmit virus and parasites to humans and animals. 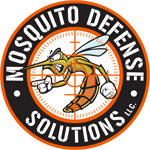 Invest in a mosquito misting system in Houston and stay protected against Midges!